The unfolding calamity of human antibiotic resistance – Maintaining hygiene standards in hospitals, through regular cleaning and robust pest control measures, is of critical importance in order to minimise the risk of patients suffering infections from contaminated surfaces or products, especially as we head towards a post antibiotic era. At Javelin, we understand the need for clean and sterile conditions in medical facilities and tailor our treatments accordingly. 30 Different types of bacteria – through mechanical transmission, Cockroaches are known to spread > 30 different types of bacteria including Salmonella, E.coli, Staphylococcus and Streptococcus which cause an array of complications including pneumonia, septicemia, cholera, polio and urinary tract infections such as diarrhoea and dysentery. Through the same transmission method, they can spread giant roundworm, whipworm, hookworm, threadworm and pinworm. They can also trigger asthma, through the release of allergens. Mechanical transmission by flies of diarrhoea and enteric diseases such as diarrhoea, dysentery, cholera, typhoid, salmonella and E.coli in addition to tuberculosis, intestinal worms and trachoma (eye disease). Gram-positive cocci and bacilli and Gram-negative bacilli bacteria – Ants are generally much cleaner insects than cockroaches and flies, but all are capable of transporting pathogenic bacteria in the hospital environment. Leptospirosis, Bubonic plague, Salmonella, Rat-bite fever, Murine Typhus and additionally Hymenolepis Tapeworms – all spread by Rodents. Bed Bugs are better known as irritants, than a known vector for disease, but secondary infections are a risk as is the hospital’s reputation. Recent studies have shown that they can however, be carriers of Hepatitis B, although currently there is no proof that they can transmit the disease. Pests carry pathogens and can mechanically transmit directly to humans or indirectly to surfaces which humans then come in to contact with. The risk of healthcare associated infections (HCAI) is high, if robust pest control measures are not in place and hygiene standards maintained. Pests contaminate food by damaging food packaging, and by touching, eating and defecating on uncovered food, which leaves it no longer fit for human consumption. The ultimate danger and cost is a destructive fire, which can be caused by rodents gnawing through cables. Bed bugs are common in hospital wards due to the continual movement of people. Ants and Cockroaches are likely to be found in areas where food and water are served to patients. Both spread disease and can carry pathogens from bins and drains onto human foodstuffs and the surfaces they travel across. Javelin’s Superheated Dry Steam Treatment is able to deliver complete removal of a bed bug infestation in one session, making it ideal for busy hospitals. 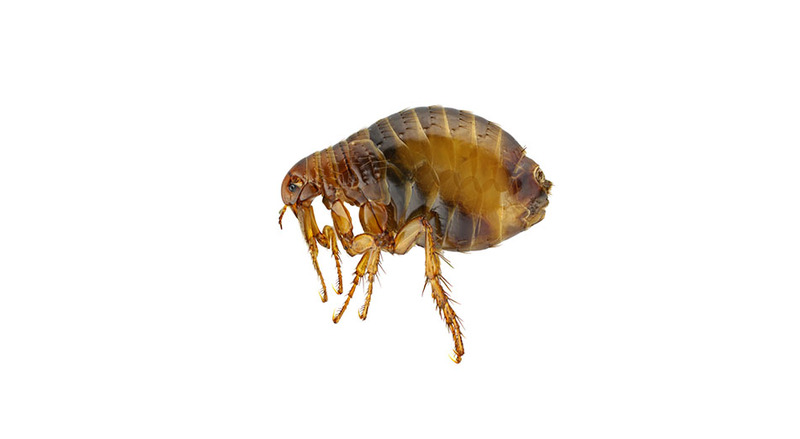 Steam produced during the treatment eliminates all stages of a bed bug’s life cycle, from eggs to adults, and can be delivered in the presence of people. Wards do not have to be closed for treatment, so vital care can continue uninterrupted. This treatment comes with a 1 – 6 month warranty depending on what you require. If bed bugs re-infest the treated rooms within that period, Javelin Services will return, free of charge, to eliminate the infestation. After a detailed inspection, a combination of IRS (Internal Residual Spraying) and IGB (Insecticidal Gel Baiting) treatment would be administered to eliminate the infestation as quickly as possible. Post treatment, monitoring devices will be deployed where necessary to monitor activity and to detect a re-infestation at as early a stage as possible. Cockroaches, ants, flies and rodents are the main pests affecting kitchens and canteen areas, attracted by food spillages, food scraps, water leaks and light. Cockroaches and ants often hide in tiny cracks behind or within sinks, cupboards, cooking appliances and can even hide within drinks dispensers. Flies can easily enter kitchens and eating areas through doors and windows. Rodents are often seen darting along walls and behind cooking appliances. They not only spread disease, but also gnaw through cables causing fires. With an Integrated Pest Management approach, your Javelin service team will detect, assess, treat and monitor any pests for long-term protection. We use a range of tailored solutions, including hygiene and proofing advice, spraying and gelling with targeted applications to avoid the risk of surface contamination and patient health issues. After a detailed inspection, a combination of IRS (Internal Residual Spraying) and IGB (Insecticidal Gel Baiting) treatment would be administered to eliminate the infestation as quickly as possible. Post treatment, monitoring devices will be deployed, where necessary, to monitor activity to detect a re-infestation at as early a stage as possible. Our Insect Light Traps (ILT’s) have been designed to be hygienic and to meet all legal and health and safety requirements. ILT’s use glue boards to trap flies that remain attached to the glue board. There is no risk of food contamination and tests have shown that glue boards catch flies 100% faster than the Electric Fly Killer units. The application of anticoagulant rodenticides in secured bait boxes and/or snap-back traps and sticky boards along the hospital’s perimeter fence, exterior walls and interior areas (where appropriate) to safely achieve rapid reduction in rodent numbers. Any pest issue is a serious issue in an operating theatre, given the highly sensitive sterile environment. The presence of just one ant or one cockroach is sufficient to lead to the contamination of sterile surgical equipment or the wounds of post-operative patients and potentially spread pathogens to patients. Keeping pests out of these areas is critical given the potential for cross-contamination and secondary infections. Your Javelin service team will detect, assess, treat and monitor pests in these areas, using the most targeted applications to avoid the risk of contamination and patient health issues. The tropical climate in Myanmar makes perfect breeding conditions for pests. Mosquitoes are the most common issue outside and pose a risk to employees of such viruses as Dengue and Zika. Rats, mice and cockroaches are often seen scuttling around waste sites and drainage systems. Living in these unsanitary areas means these pests pick up bacteria and disease, which they can then carry into your facilities. Solutions for outside spaces can be both targeted and comprehensive. Our surveyors will be happy to discuss options and budgets and come up with the most appropriate solution to fit your needs. We have a number of different solutions for mosquitoes including thermal fogging, larviciding and ULV treatment. For outside areas, a combination of thermal fogging at peak activity times, ULV treatment and larviciding will be administered to target all stages of the mosquitoes life cycle. The application of anticoagulant rodenticides in secured bait boxes and/or snap-back traps and sticky boards (where appropriate) along the facility’s perimeter fence and exterior walls to safely achieve a rapid reduction in rodent numbers. The presence of flies and other insects pose a threat to both your employees and patients, as they can easily transfer diseases from room to room. Traditional electrified grid models are loud and distracting and can create unhygienic conditions by causing the fly body to explode, leaving body fragments and pathogens on surfaces up to 6 feet away. These traditional models are highly inappropriate for the hospital environment. Our Insect Light Traps (ILT’s) have been designed to be hygienic and to meet all legal and health and safety requirements, as they use glue boards to trap flies rather than electric grills. With ILT’s, there is no risk of the spreading of pathogenic material and tests have shown that glue boards catch flies 100% faster than traditional Electric Fly Killer units. ILT’s are silent in operation, capturing and killing flies discreetly, so that patients and medical staff aren’t disturbed by buzzing and zapping sounds. There are many other pests from snakes to fleas that can cause problems for your hospital. Termites can cause substantial damage and pose a very real threat to buildings and structures. For more information, please visit our termite control page. Whatever your issue, we have trained professionals that are able to safely and effectively treat all common pests. Please call us with any situations that need addressing and we will be only too happy to help. For specific pests, please see our pest library for more information. Excellent and very professional service. They offer child safe services that we did not find with other companies. Very reasonably priced, we would certainly recommend them to family and friends. It’s a pleasure to work with Javelin Services. They advised us on what we can do on our end, e.g. keeping areas free of places for pests to live and breed. I can pick up the phone whenever there’s a problem and they’re right on it. They’re obsessive when it comes to pests which means I don’t have to be and can get on with running my restaurant. We now have tailor made package focused on keeping the building secure, monitoring pest activity using baits, traps and gel, and spraying regularly for mosquitos and other preventative measures. I receive a detailed report after each scheduled visit and I am pleased to say we have been remained pest free since. “I engaged Javelin pest control services after recently moving into a new hallway style apartment in Yangon that had an ant problem on the 6th floor and concerns of a cockroach issue. The team came to evaluate and for a very reasonable price I now have received 2 treatments as part of an annual course and have yet to see another pest near my apartment! I’ve witnessed the ant trail start leading across my balcony wall as they cannot penetrate the chemical barrier laid down by the guys at Javelin! Staff are also very quick and professional, leaving no part untreated but causing no mess or fuss in the process. Highly recommend! 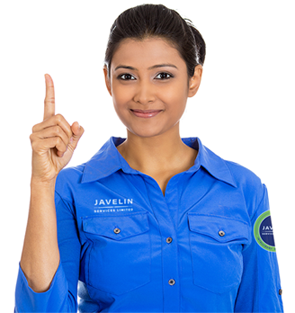 Javelin Services delivered an outstanding service at an extremely reasonable price. When we had a stubborn cockroach problem they arrived the next day, performed the service quickly with chemicals that were odourless and invisible and checked back in a few weeks later to make sure the pests hadn’t returned (they hadn’t). We’ve been recommending them to anyone looking for pest control since then.